She Wore White…I wore a LBD! 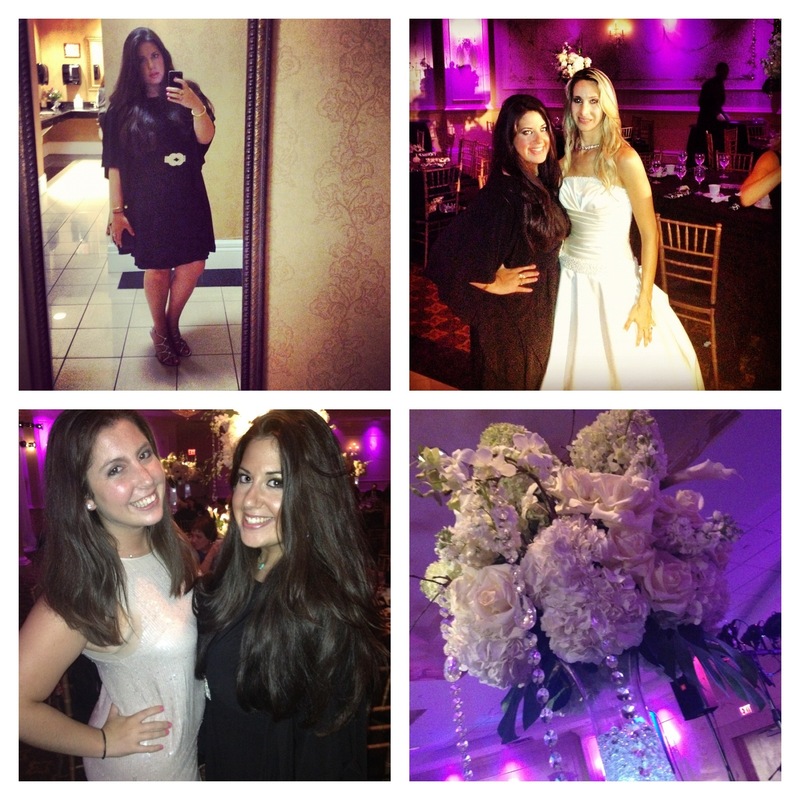 On Sunday August 5th 2012, I attended a beautiful wedding at the Wilshire Grand Caterers in West Orange, New Jersey! The bride is the daughter of a dear family friend! My dad went to college with the “FOB”! 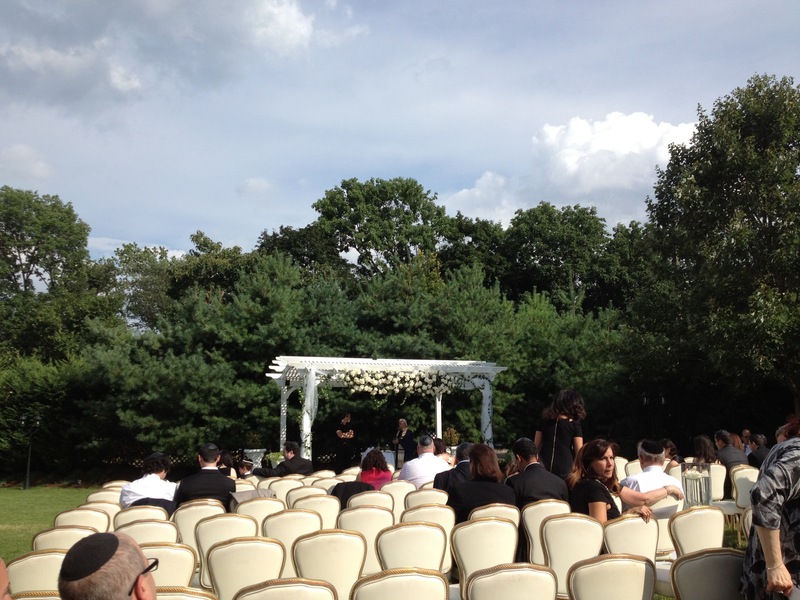 It’s been a while since I saw this family and I was so excited to partake in their beautiful day & simcha! There’s a little Hebrew lesson for ya!! Anyway, the ceremony took place outside! What a sunny & beautiful day it was – hot too I might add! The chupah was wrapped with beautiful white roses & hydrangeas – my favorite! The wedding party wore black & the bride wore a beautiful off-white gown simply adorned with rows of pearls at the sweetheart seam & waist line which was complimented by a beautiful yet subtle bow in the back. The reception was beautiful!! The tables were gorgeous with fleur de lis like patterns in white-silver & black velvet for the napkins & table cloths, this print was a Mainstay & theme throughout the evening matching the wedding invitation, cocktail & dinner plates, and the place cards. As for the centerpieces!! LOVE!!!! A tall cylindrical-like vase filled with crystals with a beautiful arrangement of white & off-white roses and hydrangeas filled the room with beauty! Hanging from the flowers were large strands of crystals that lead your eyes towards the candles and flower petals arrangement on the table underneath giving the room a warm glow! The Wedding Reception! SO pretty!! The band was great and the dancing was even greater!! I had lots of fun dancing with my parents, family friends & with old and new friends, too! 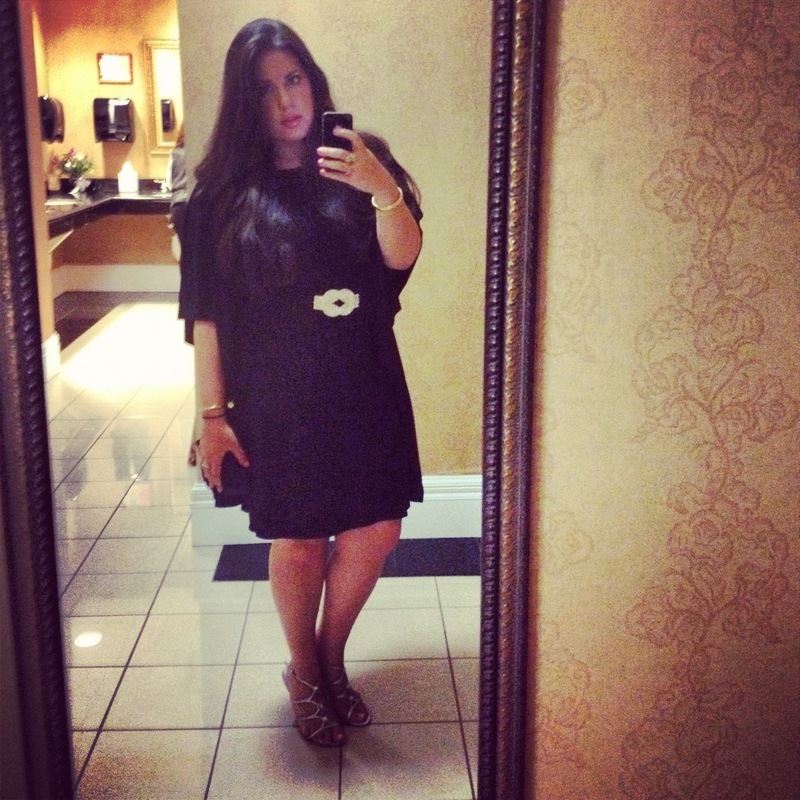 Although I was not in the wedding party, I too wore a black dress – a LBD. The dress is from Betsy & Adam that i bought at Macy’s. I saw it and fell in love! The dress was designed with lattice cut material – ruched at the shoulder, that draped over the arm giving it the look and feel of a dolman sleeve – but in fact its really just a tank dress! To make it more fun with a splash of elegance; a matching black sash with a big white crystal knot sewn in the middle synched my waist at the empire line! 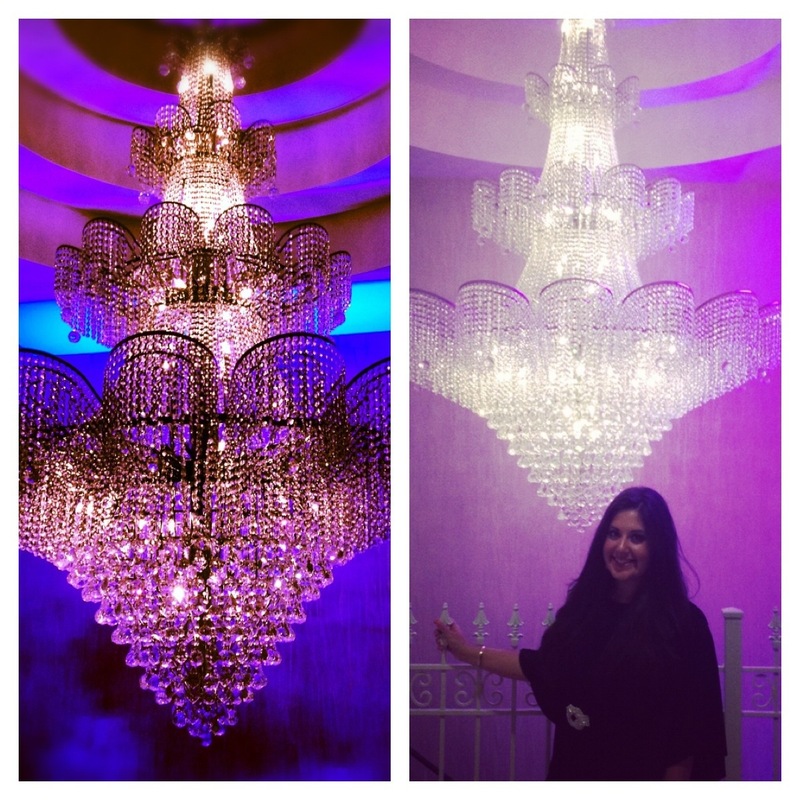 It was perfect, chic & stylish for this affair & many others! My shoes I bought at DSW and were a perfect match! They were a silver strappy sandal adorned with large and small circular crystals going up the center!! SPARKLY!!! My Betsey & Adam Dress! 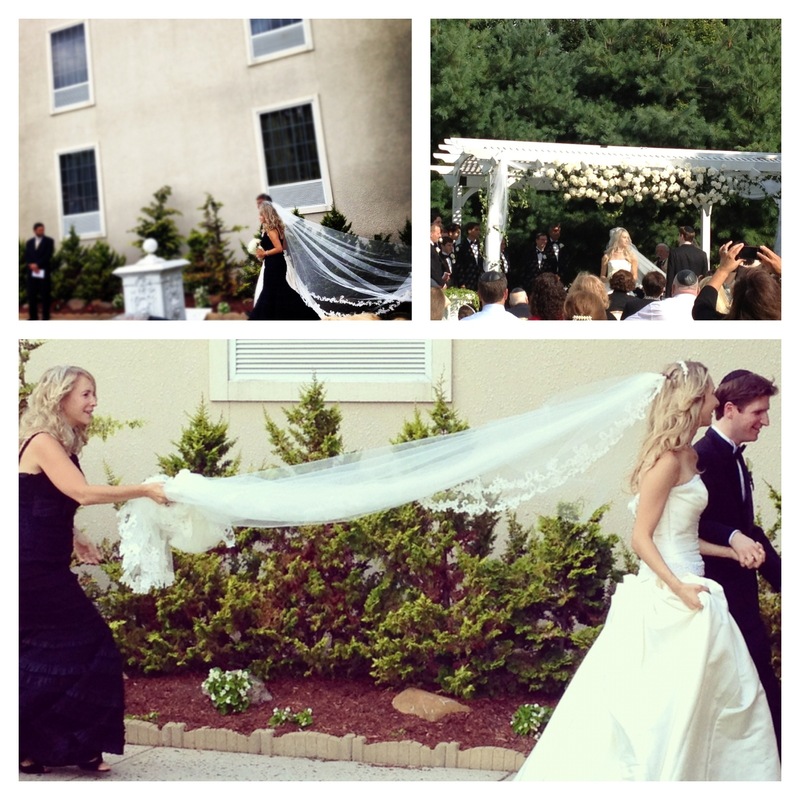 MAZEL TOV TO THE BRIDE & GROOM! !